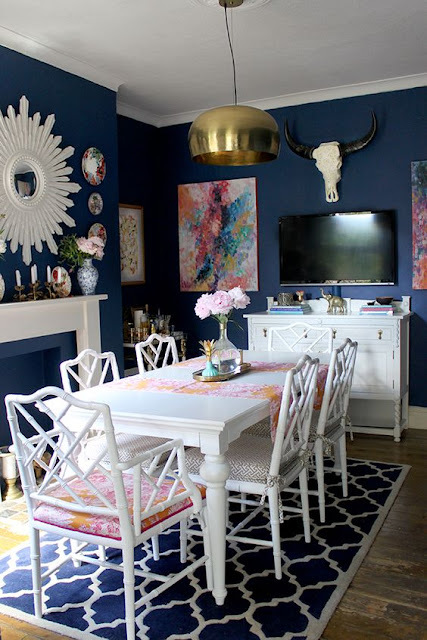 Allison from A Glimpse Inside is here this week with some gorgeous Colorful Dining Room Ideas!! Spring has finally arrived, well officially at least whether the weather wants to act like it or not, and with that comes the arrival of all sorts of new colors starting to brighten up the world. 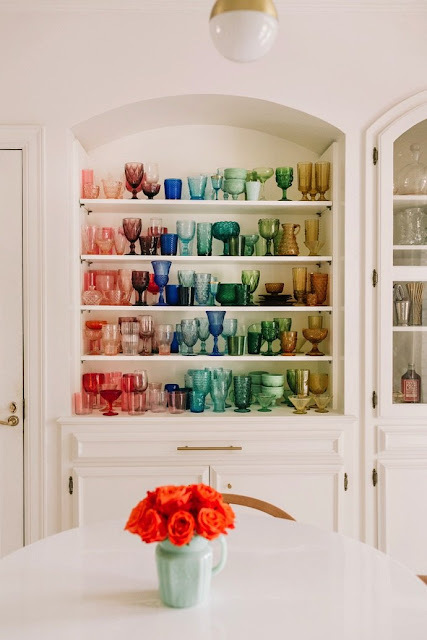 Today, I am sharing some colorful dining room ideas with you to show you can brighten up your world too. The farmhouse trend is still going strong and with that comes a lot of white and wood tones. 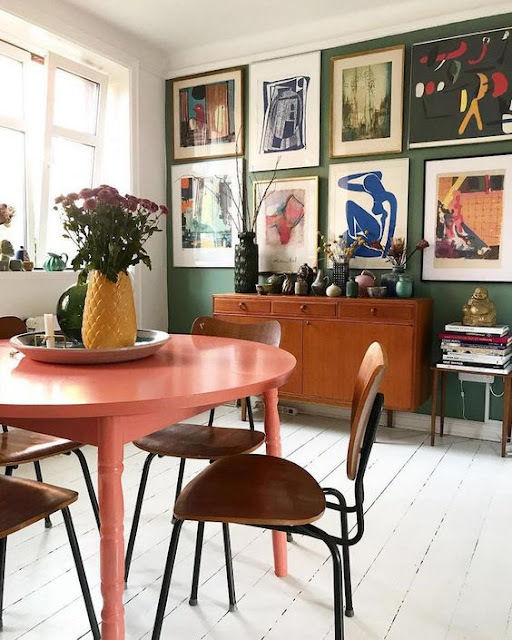 Don’t get me wrong, I love this trend too, I actually miss the white walls we painted in our old house, but sometimes you just need a little color in your life. Whether you like just a few accents of color or ALL. THE. 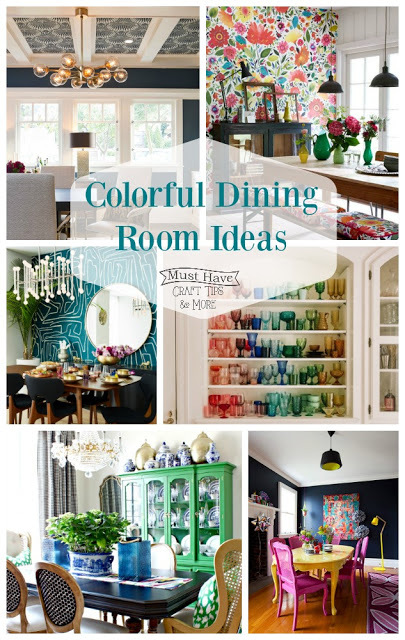 COLOR., I am here to show you different ways you can inject color into your space. I’ll start with the most obvious way to add color to your room and that is on the walls. 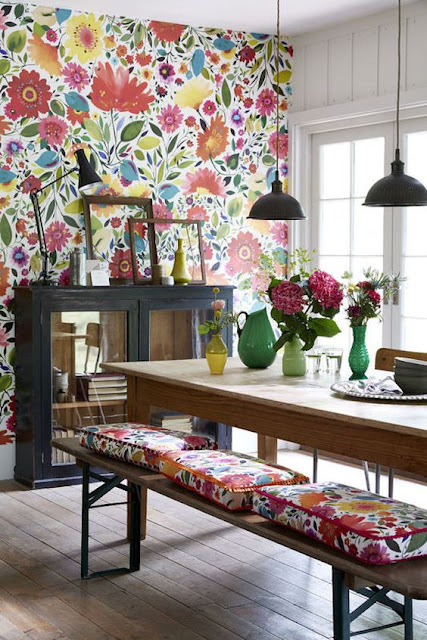 Did you find a bold wallpaper you love but don’t want to commit to it in your entire space?! Not ready for a lot of color but do want to incorporate some? 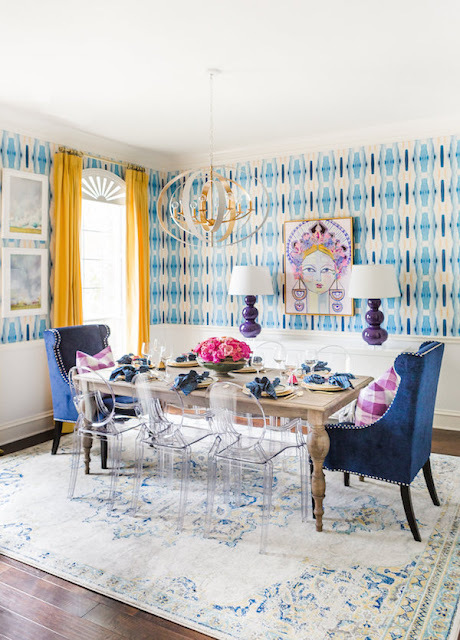 Paint your walls a solid color and repeat that color in your rug then bring in brighter pops of color in the artwork and fabrics in the room. Onto another flat surface that frequently gets ignored… the ceiling! 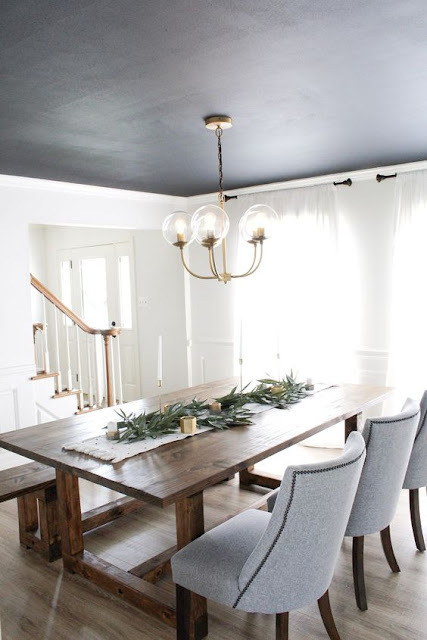 Ceilings are another great way to add color but they don’t have to be too crazy. Willing to go a little further with your ceiling? 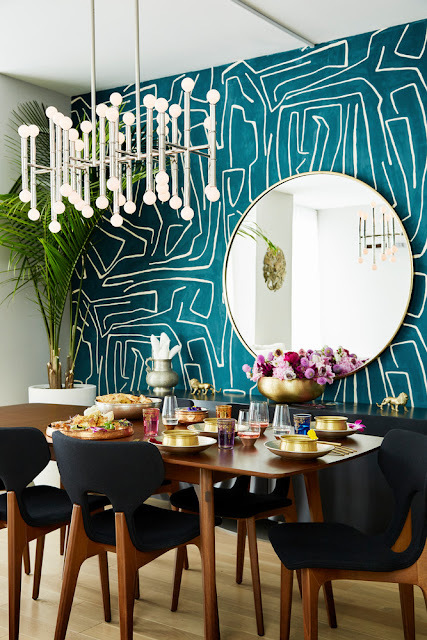 Try adding a stencil or pattern wallpaper to your ceiling for a more dramatic effect. 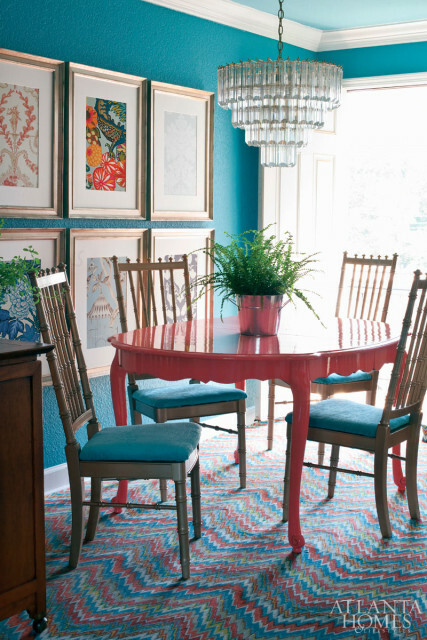 Furniture is such a great way to add a pop of color and if you get tired of it, just repaint it or buy a new piece! 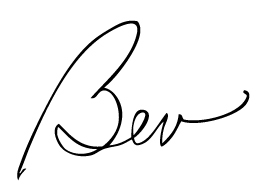 Want color but don’t want to commit to a large piece? 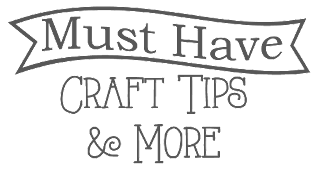 Find a table with a colorful base or paint the base of your existing table in a color and leave the table top white or wood toned. Don’t forget the about the accessories that can bring color into your space with pieces that you love. Collect artwork that have similar color tones and display them in your space as a large gallery wall. This is also a beautiful space. Pick two or three colors you want to showcase in your space. 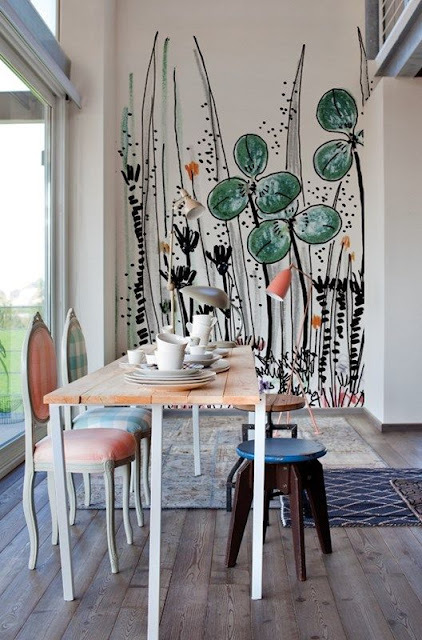 Find artwork with those colors then tie in accessories and a rug in those colors to bring the whole space together. 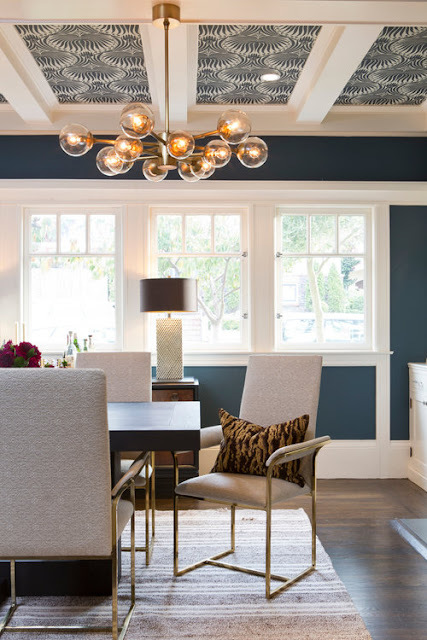 Do you love color or do you stick with a more neutral color palette? 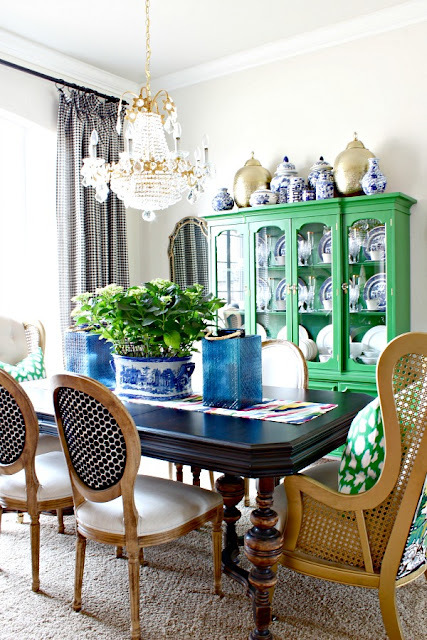 After checking out all these beautiful dining rooms, I’m ready to bring more color into my space! 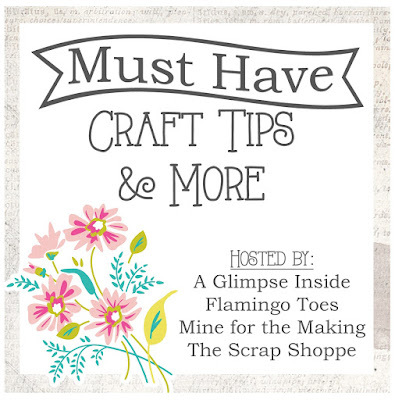 Stay tuned next month where we will begin a whole new room and a whole new month of tips. 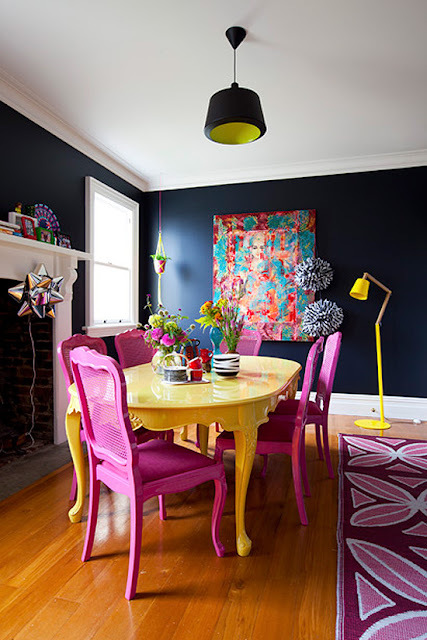 I love the colorful dining room furniture. Bright colors make me happy. Thanks for sharing.